We are a small Australian Labradoodle breeder located in the heart of Oklahoma, 60 miles south of Oklahoma City. Southern Oklahoma Labradoodles is owned by two sisters, Jacque Wright and Amanda Redus, and we are thrilled to become a part of the Australian Labradoodle family. Our journey began in partnership with Shadow Mountain Australian Labradoodles of California and Oklahoma. Shadow Mountain has given us tremendous support and guidance and we are thankful for their continued mentorship. 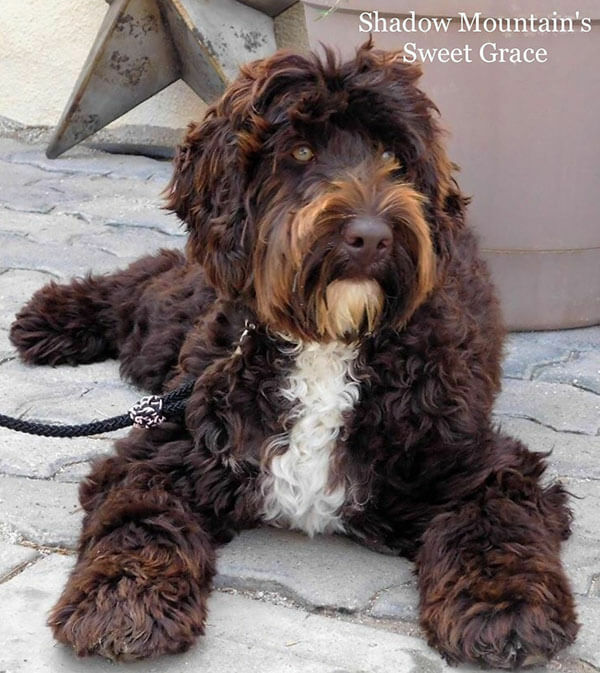 We are blessed to have started our breeding program with a beautiful chocolate Labradoodle, named Gracie. Gracie has had one litter of puppies and they are living with families all over the United States. Her puppies have become awesome family companions, therapy dogs in training and a companion for the physically challenged. Our puppies are raised in our home and socialized from birth. When a Southern Oklahoma Labradoodle puppy becomes a lifetime family member you can expect an intelligent, beautiful and affectionate companion. As we enhance and build our breeding program we are committed to continuing the high standards set by the Australian Labradoodle Association of America (ALAA) and top breeders across the country. We hope that you enjoy our website and we would be honored to assist you with any questions you may have. Please use our contact page and we will get back to you as soon as possible. Don’t forget to check out our Available Puppies page. Do You Like Our Site? Share With Your Friends!